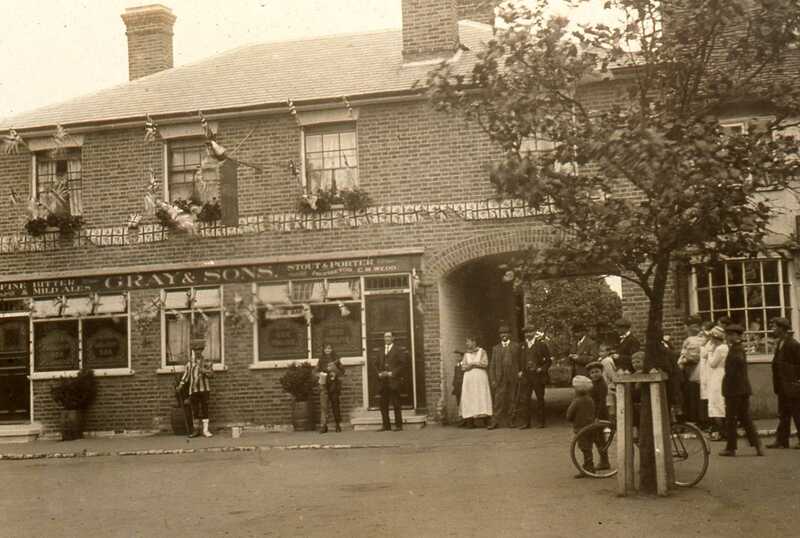 Another pub we used in Rayleigh was the Chequers. It was run by Auntie and Gwen – two middle aged spinsters who were very prim and proper and as you may guess came in for quite a lot of banter from the lads. As far as I can remember the brewers were the “Gray Bros”; one was a malt farmer and the other a brewer which was quite a good combination. I think they had about sixty tenanted houses and all of them were in Essex. One Sunday evening, the wife and I were out for a walk and thought we would call in at Gwen’s for a drink. 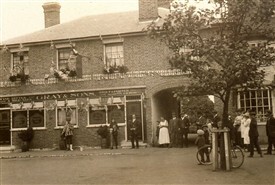 In front of the pub was a square where the buses parked and every Sunday evening a large crowd used to assemble there and listen to the “Salvation Army” band that used to come there complete with band and a platform for delivery of the usual sermon thrown in during the evening. We arrived when the sermon was in progress and as we approached the pub we heard the preacher say, “Woe unto those who indulge in drinking in the low pot houses until the senses are dulled and they know not what they do until all their money is poured into the pockets of publican sinners - and so on & so forth. She added quite a lot more which I have forgotten but by the time she had finished with him I think the audience enjoyed it more than the sermon. Old Gwen must have been real mad because during the whole time I knew her I never heard her use a bad word except on that occasion. This page was added by Brian Pettitt on 04/07/2012. Interested to hear any more tales of Gwen at The Chequers as she was my Great Aunt & I have only just recently become aware of her existence!